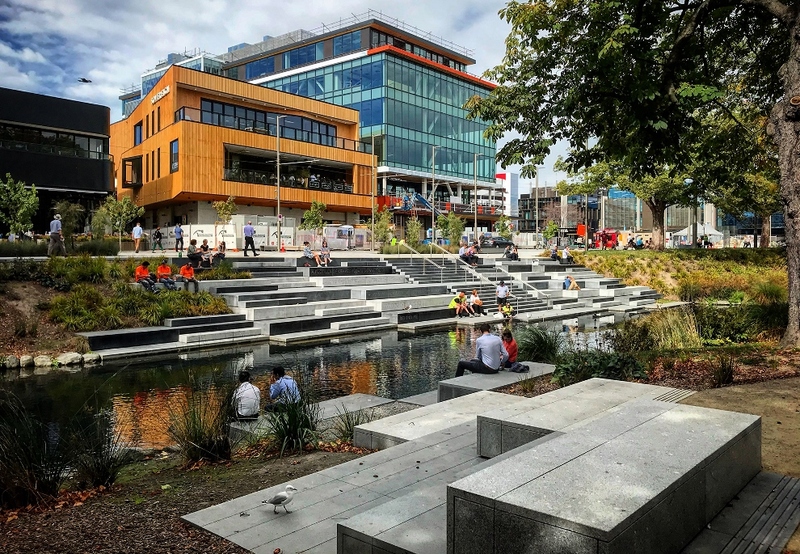 A push is underway by city leaders determined to stimulate investment, support growth and build confidence in the city centre of post-earthquake Christchurch, New Zealand. 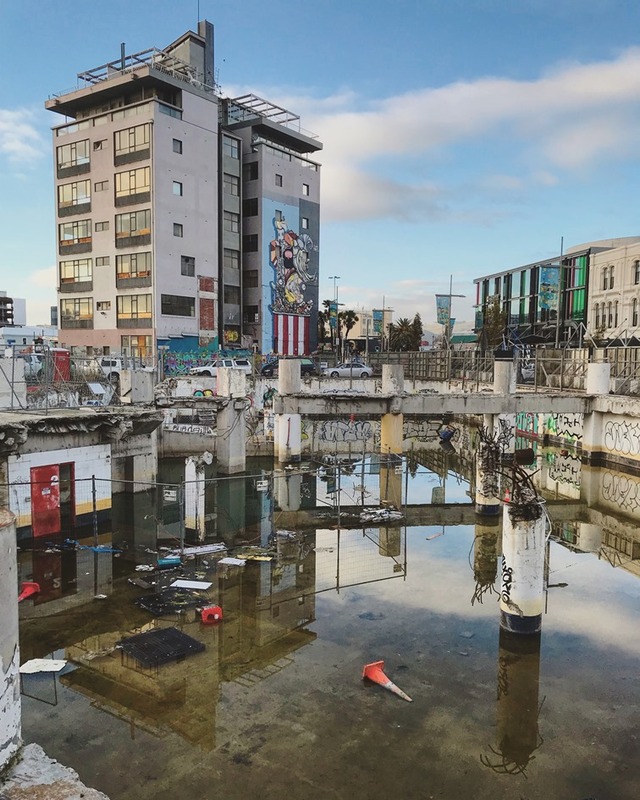 Those who have read the preview of REVITALIZATION publisher Storm Cunningham‘s upcoming third book, RECONOMICS, know that restoring confidence in the future of a place is the single most important goal of any revitalization effort. People relaxing in Cathedral Square. 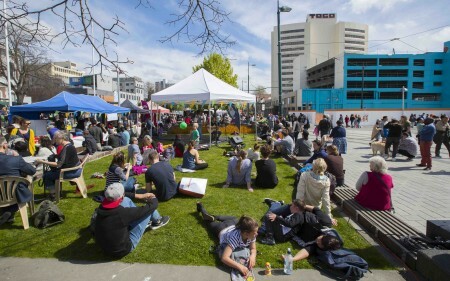 Photo courtesy of Regenerate Christchurch. Now, a Central City Action Plan is being put together with those who already live and do business in the central city in order to accomplish exactly that. “We all know that the key to a thriving central city is people. 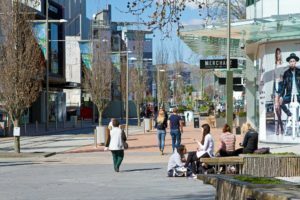 We need people living, working, visiting and doing business in the central city,’’ says Mayor Lianne Dalziel. “One way to achieve this is to utilise the passion and experience of those who have already made that call. Living in the heart of the city is special, and the retail and hospitality experience is unique. We need these people to help shape the action plan,” Dalziel continued. The stimulus for this work has been a report from Regenerate Christchurch on the progress of central city regeneration, alongside some of the cross-agency revitalisation work already underway. The recent economic monitoring work done as part of ChristchurchNZ’s latest Quarterly Economic Update has also fed into this work. ChristchurchNZ is the city’s economic development and city profile agency charged with igniting bold ambition, excitement, connecting changemakers, stimulating economic activity and attracting visitors to Ōtautahi Christchurch. To fulfill their mission of igniting bold ambition in Christchurch and the region, they provide targeted initiatives to support innovation and business growth while promoting our city nationally and internationally. ChristchurchNZ aims to ensure that the city’s reputation grows as a vibrant and exciting city surrounded by mountains and beaches…a place where our people experiment and test new ideas and innovate in business, technology and society. 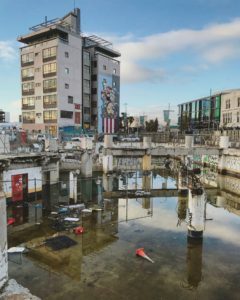 Post-earthquake demolition in city center. Photo credit: Simon Makker. The Council is viewing this as a call to action and is seeking to coordinate new and existing activity across regeneration agencies and the private sector. The Action Plan will not only focus on encouraging residential development in the central city and making it an attractive place for people to live, it will also look at how investment in the central city can be strengthened and an environment created where businesses can thrive. There will also be a focus on events that will draw people into the city centre. The Action Plan will also address how the central city can be marketed nationally and internationally. Featured photo courtesy of Regenerate Christchurch.